Our horticultural team will guide you through their favourite plants for the white garden. 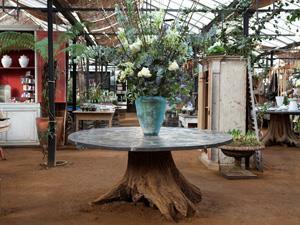 We will discuss and learn how to create ravishing and sophisticated displays in both the garden and for containers. A white garden need not be worn and pale. In selecting white as your choice colour, your garden will have a stronger sense of shape and texture. It can also enhance the fragrance in the garden as well as yield beautiful flowers for cutting to naturally decorate your home.